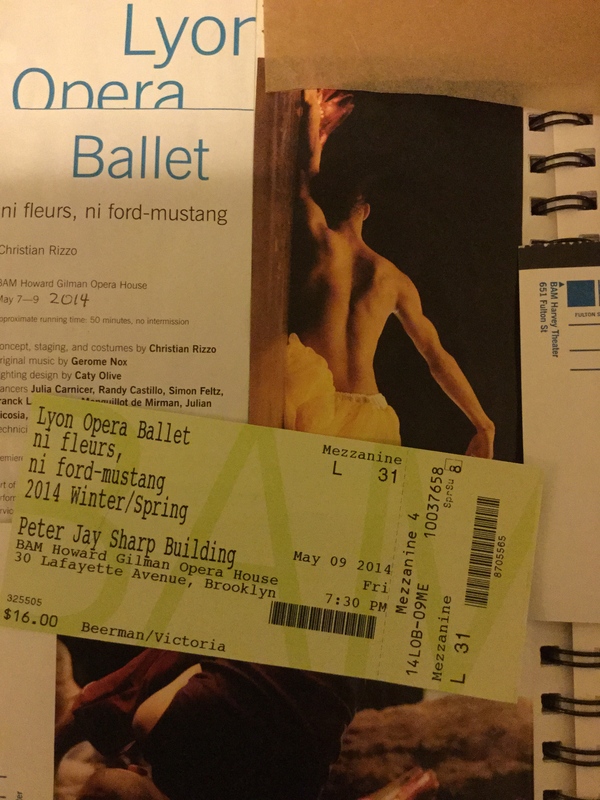 I attended Lyon Opera Ballet’s ni fleurs, ni ford-mustang last night at BAM and I felt sorry for the dancers when the curtain call came. It was obvious to me when I watched them move during the performance that they were talented. I may be in the minority, but I was intrigued by the slow, deliberate movements and the anxiety that these movements — along with the industrial music — provoked. It must be very difficult to move so slowly and so gracefully with such precision. The masks and the costuming were compelling as well. If there was a concept, however, I could not find one. Nor could I find any mention of a concept in the program. Overall, the piece fell flat and will not be one of the more memorable evenings I have had at BAM. It felt like being at a dance version of a there without a there. I like it when I occasionally meet up with a piece of work that does not resonate with me when I attend my BAM performances. I am not giving BAM free license to present shoddy work, but I expect BAM to go out on a limb and take risks. The inevitable result of this is that some performances will not be as well received as others. I am not a dancer but I am a devoted BAM audience member and have seen a lot of dance performances. I would be curious to hear from actual dancers and to know their thoughts on Lyon Opera Ballet’s piece. It is interesting to note that this performance prompted me to comment for the very first time on BAM’s blog. That experience led to my creating this blog. I have long kept journals and scrapbooks noting the cultural experiences I have had since moving to NYC in 1988, as well as adventures afield. Someday I may post selections from those journals because it has been a long and very interesting cultural education — and one that I have hand-crafted for myself. I hope my cultural explorations inspire your own, and that you share them as well!